“After these things God tested Abraham and said to him, ‘Abraham!’ And he said, ‘Here am I’” (Gen. 22:1). Today, we begin our study of what has come to be known as the Aqedah, or the “binding of Isaac.” Abraham’s willingness to sacrifice his son has provoked much commentary, for understanding it rightly is vital in grasping how God accomplished redemption. We will begin our study of Genesis 22 with a discussion of some of the difficulties raised by this passage. Principal among them is the Lord’s demand for a human being to be given to Him as a burnt offering (v. 2) since the law of Moses forbids using children for a burnt offering (Lev. 18:21; 20:2). Is God then contradicting His own moral character when He requires the patriarch to sacrifice his son? Several points will help us see that this is not the case. First, it is not unethical for the Lord, in principle, to demand human sacrifice. Because He is the Creator, “the earth is the Lord’s and the fullness thereof, the world and those who dwell therein” (Ps. 24:1). God is the author of life and has every right to obligate Abraham to return his son to Him. As the source of ethics, the Almighty determines what types of killing are lawful and which are unacceptable (Gen. 9:5–6). In line with this point, God did actually require His people to sacrifice their first-born sons. However, the Israelites did not kill their children in making this offering. Instead God took a Levite for temple service or a payment of five shekels as a substitute for the child (Num. 3:40–51). The principle of substitution is taught throughout Genesis 22, and we will return to this subject in due time. Second, Abraham’s test is theologically and historically extraordinary because he was called to sacrifice the heir on whom the blessing to the world itself depended. 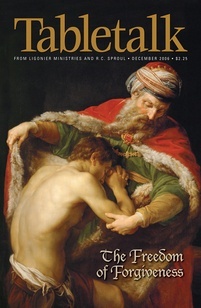 No other son occupied such a vital role (with the exception of Jesus), and so believers know that this circumstance was unique in God’s plan of redemption. God’s later mandate of substitution only reinforces the uniqueness of the Aqedah. Finally, the whole of Genesis 22 shows us the Lord always planned to prevent Abraham from taking Isaac’s life. God knew He would stay the patriarch’s knife, thereby reinforcing the principle of substitutionary sacrifice, which reveals God’s mercy and grace (v. 12). John Calvin writes, “The Lord, indeed, is so indulgent to our infirmity, that he does not thus severely and sharply try our faith: yet he intended in the father of all the faithful, to propose an example by which he might call us to a general trial of faith.” God will not test us as He did Abraham, yet He nevertheless will bring trials into our lives to strengthen our faith and bring us assurance. If you are facing a test of faith today, know that God can sustain you if you trust in Him.